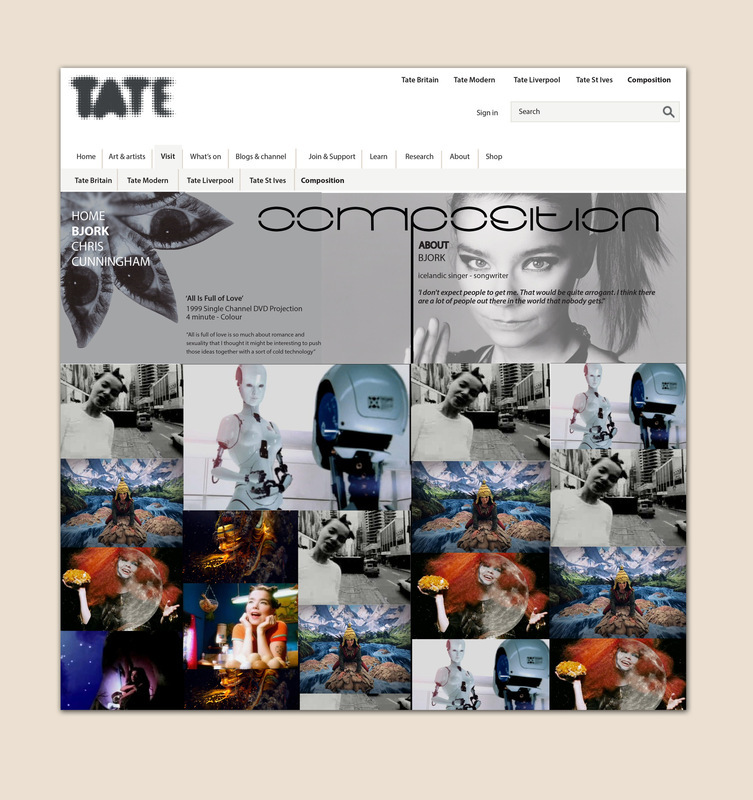 To promote a theoretical online exhibition at the Tate Liverpool. 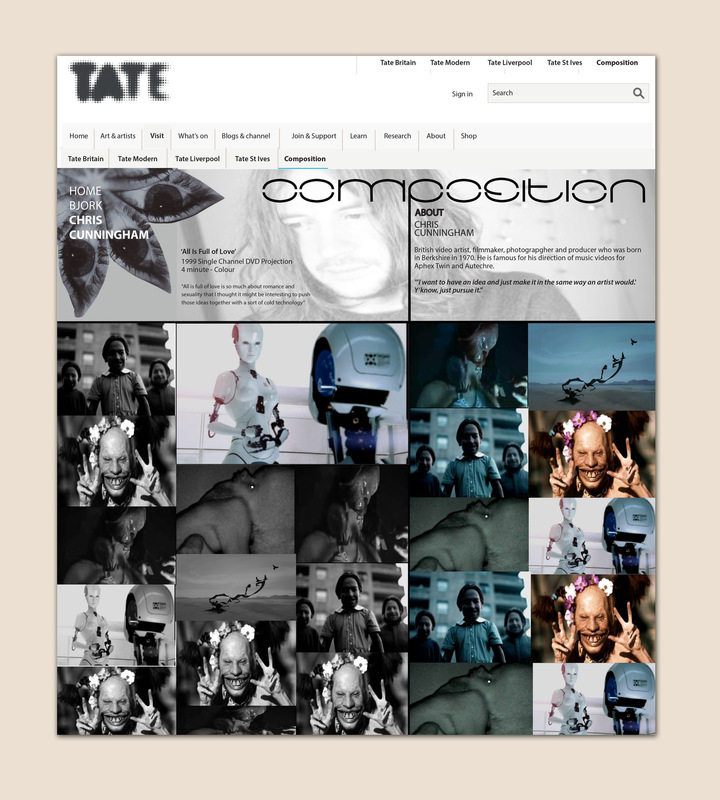 The exhibition promotes the collaboration between Bjork and Chris Cunningham. 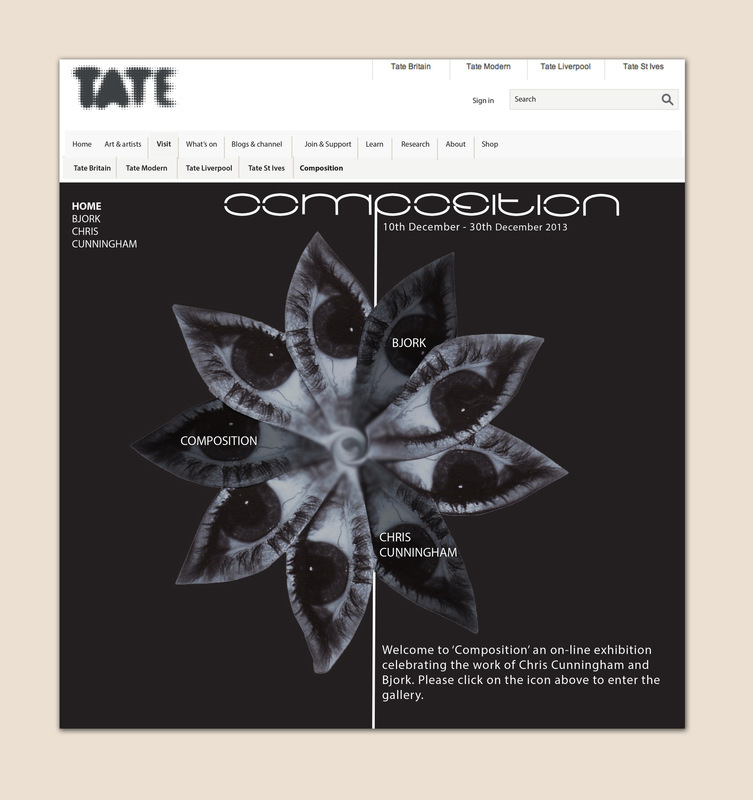 The final poster design uses typography inspired by the arches in the building of the Tate Liverpool. 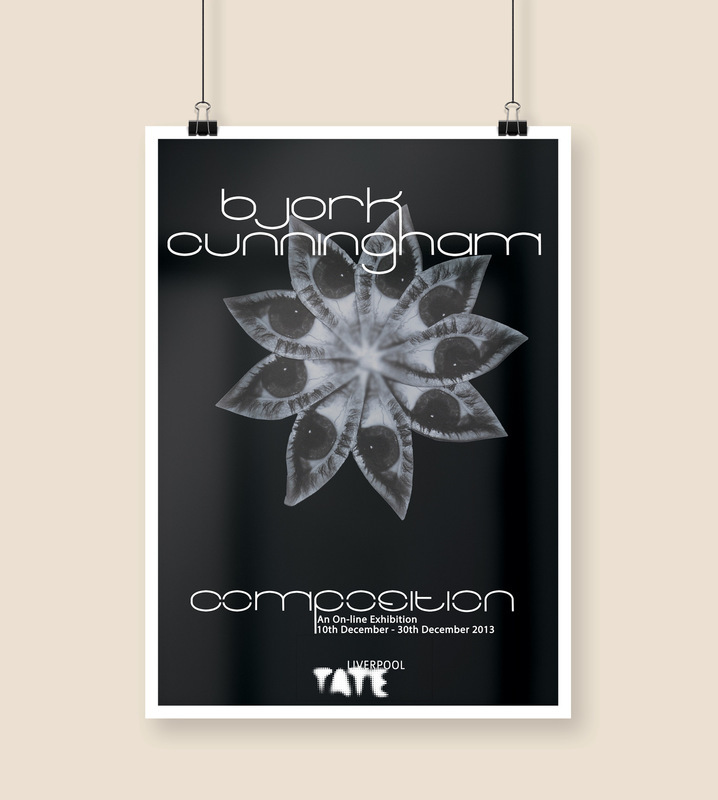 The eye imagery creates a flower which shows the mutation often seen in Cunningham’s work as well as the theme of eyes which Bjork often uses on her album artwork.